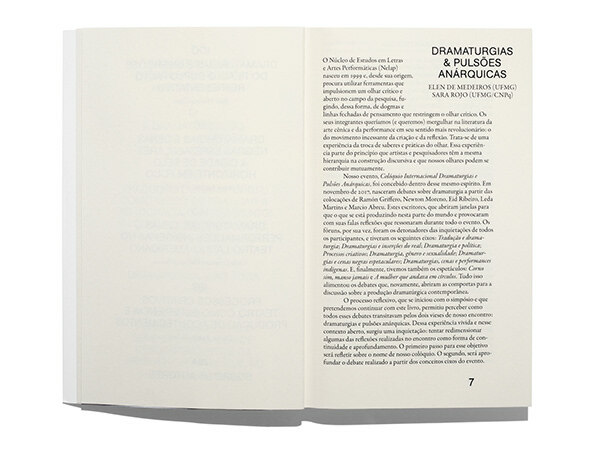 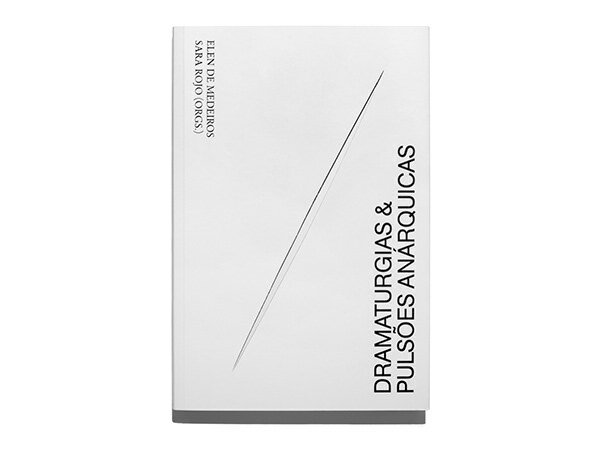 A book project organized by Elen de Medeiros and Sara Rojo, Dramaturgies & Anarchical Drives is a book compiled of texts about non-hierarchical approaches to theatre and the role that freedom plays in the creative process. 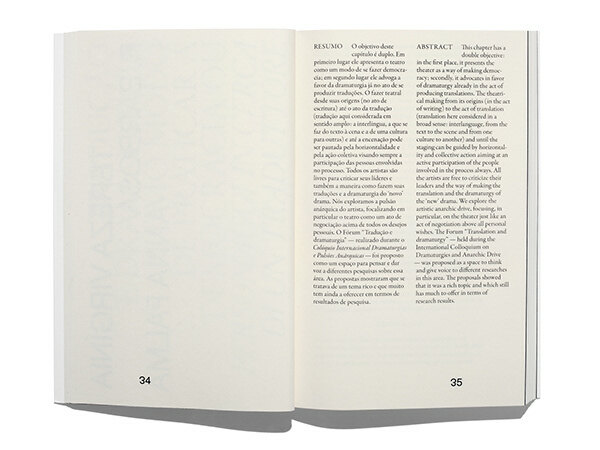 A grid with classical proportions is constantly broken by side notes which invade the primary text area, creating an unstable structure that receives orthodox academic texts. 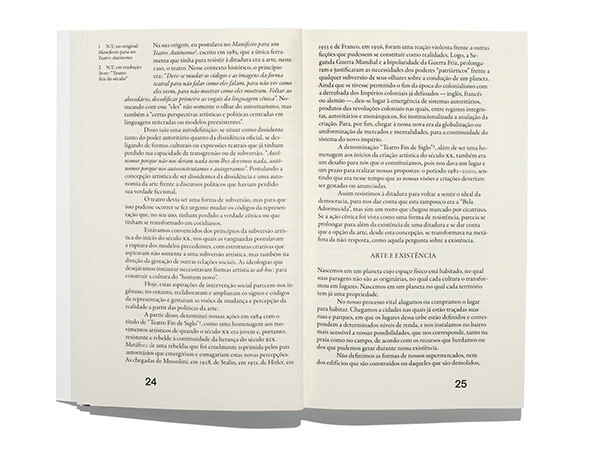 The texts’ title and the authors names are vertically set in two typefaces that constantly change direction/alignment and that are interchanged. 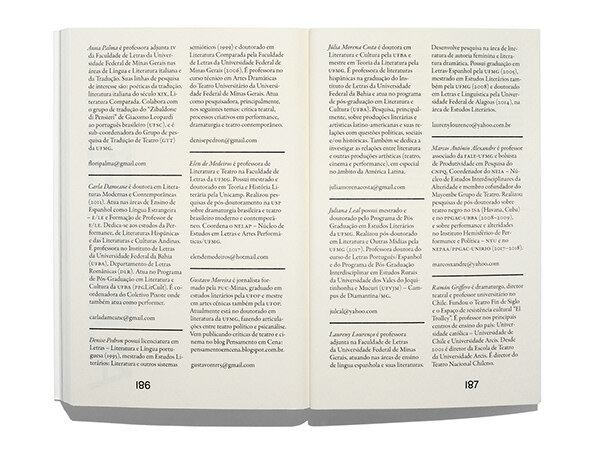 A typeface was customized to be used on the folios where some of the numbers are vertically mirrored or replaced by letters. 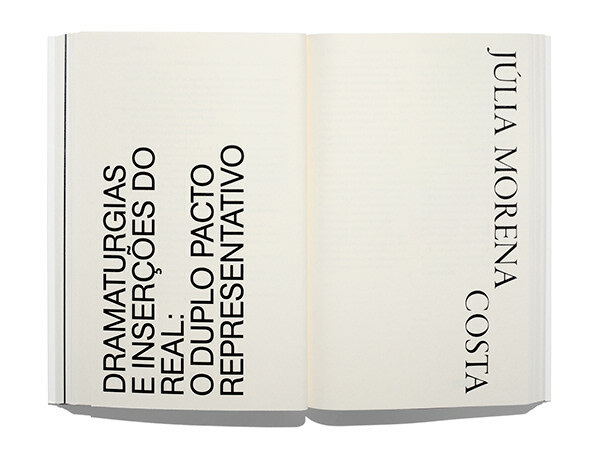 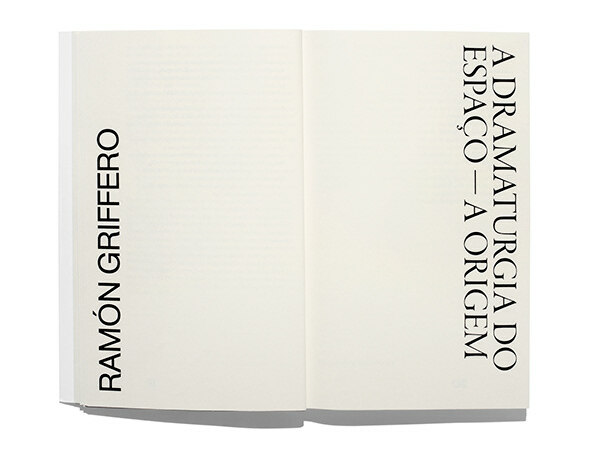 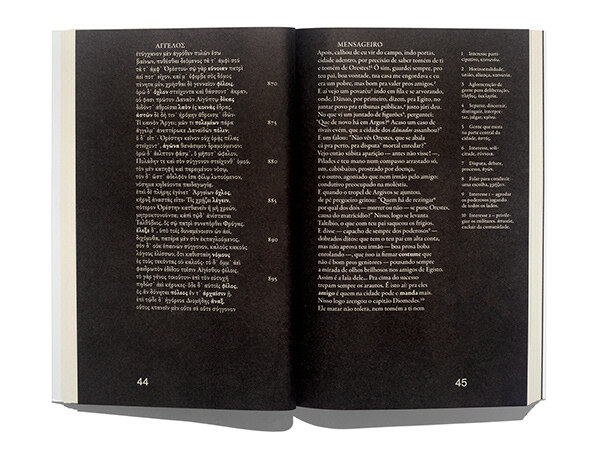 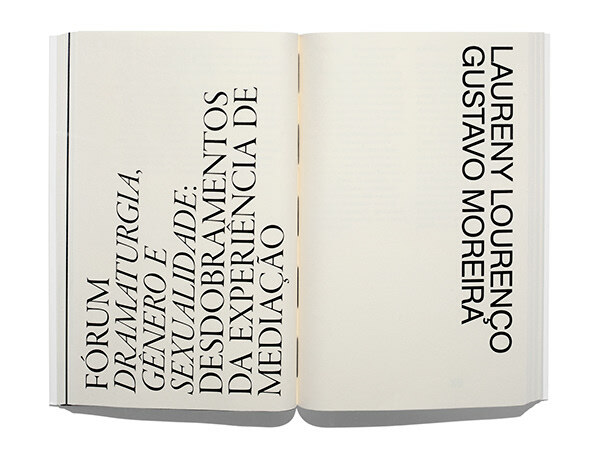 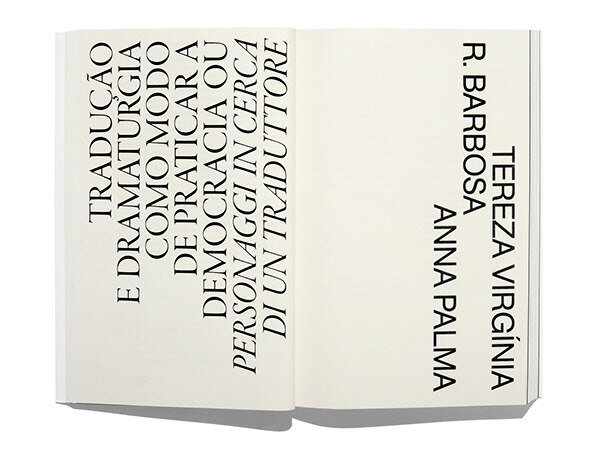 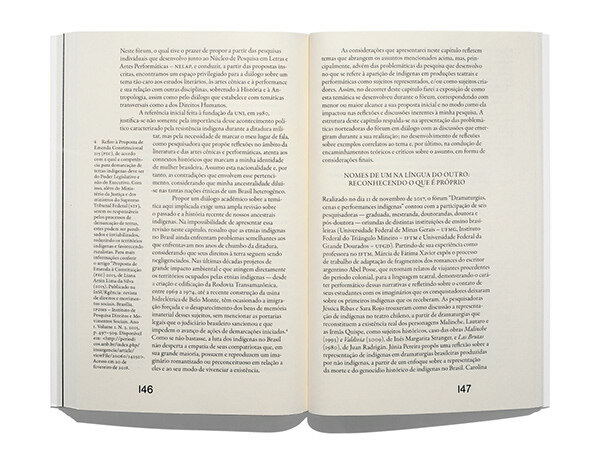 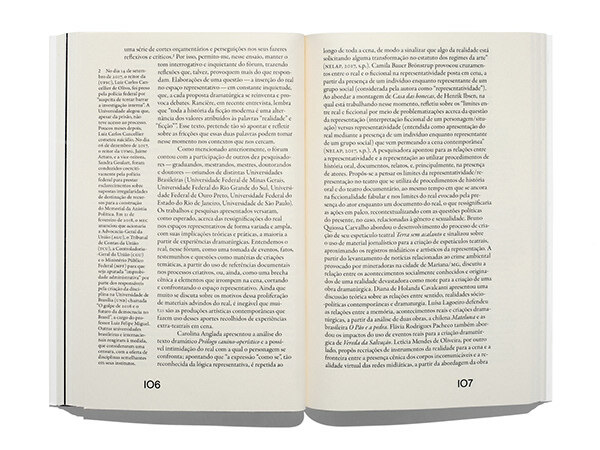 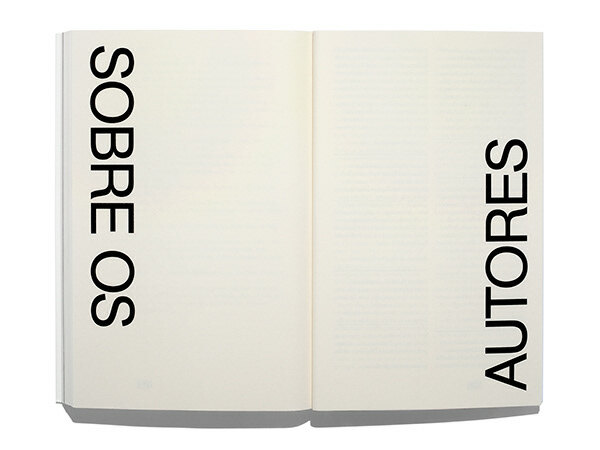 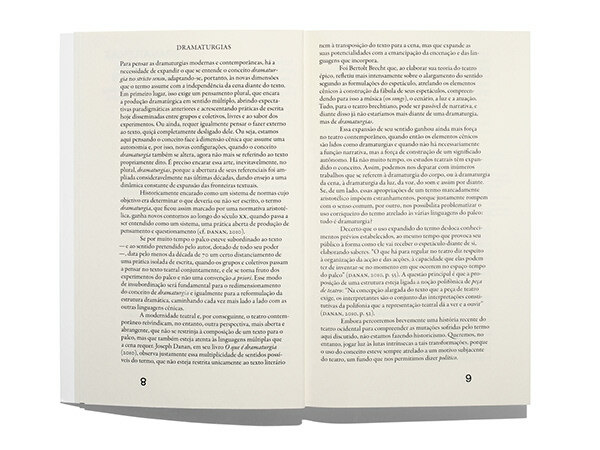 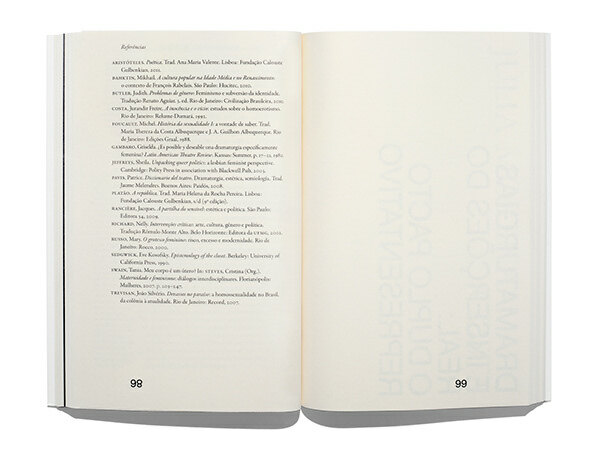 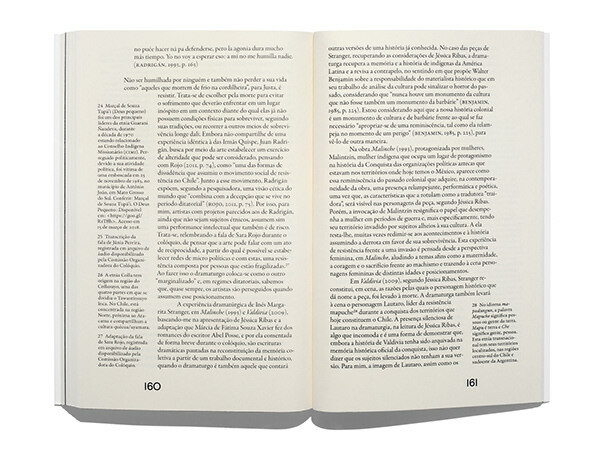 A diagonal die cut on the cover acknowledges the book as a man-made object while also subverting it. 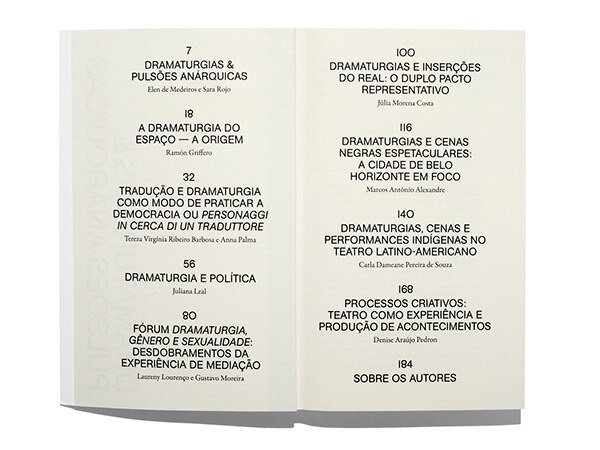 A book that compiles texts about non-hierarchical approaches to theatre and the role that freedom plays in the creative process.